Most writers would sell their souls to have their work spotlighted by Oprah Winfrey. 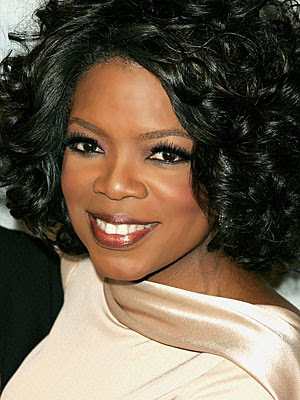 After all, Winfrey's endorsement can make stars out of unknowns. When featured on her syndicated talk show, books routinely rocket to the top of the best-seller lists. So it comes as a bit of surprise to learn that one Philadelphia scribe is suing Winfrey, claiming that she read selections from a booklet he penned a decade ago. Charles Harris, in a suit filed this week in U.S. District Court, says Winfrey recited selections from his work last year without permission. He also claims Winfrey neglected to credit him or mention the booklet's title. Harris says Winfrey's unauthorized use was "deliberate, willful, malicious, oppressive, and without regard to [his] property rights." A spokeswoman for Winfrey said Tuesday she could not comment. "We have not been served in this lawsuit," she said. Harris says he wrote How America Elects Her Presidents in 2000 and has been selling it through his own company. The booklet is not available - nor is it mentioned - on Amazon.com or any other mass-market retailer. In the 12-page legal document filed Monday, Harris says he thought it would be a "good business opportunity" if Winfrey championed his book. So he says he mailed off 10 copies to Harpo, Winfrey's production company, in January 2008. When Winfrey didn't ring back after five weeks, Harris spoke with a Harpo employee who said there was no record of receiving the booklets. Harris says he sent the booklets via certified mail and says he received confirmation that they were delivered. On Feb. 16, 2009, Harris says, he was thrown into "shock and dismay" as he watched The Oprah Winfrey Show. Winfrey, he said, recited several questions included in his booklet. "She was also highly praising of the information contained in the booklet." He says "the language and structure of the questions were exactly the same" as the copyrighted material in his book. The suit says the material was not intended for Winfrey's show and that "plagiarizing from Mr. Harris' booklet How America Elects Her Presidents constitutes copyright infringement in violation of the Copyright Act." Harris claims Winfrey damaged his business reputation and caused a loss of all profits. He wants $150,000 for each "intentional unlawful use," and additional money to cover damages and lost profits. He also demands that Winfrey destroy any remaining copies of the booklet in her possession. Harris's company, Unique Products & Services, could not be immediately located. The filing attorney named on the suit, James Lee, of Brooker, Richardson & Associates, did not return several calls placed to the firm's offices in Center City and Texas.